The city of Calgary lies between expansive prairies and soaring peaks. Calgary is a modern Canadian metropolis, that combines innovation with its western heritage. Immerse yourself in that Wild West spirit at the annual Calgary Stampede, a 10-day whoop-up embraced by the whole city or visit the town of Banff, which is just a short drive away. PNWER has a limited block of seats available in the grandstand balcony on the final day of the Stampede on Sunday, July 17th, for both the afternoon Rodeo show at 1:15pm and for the evening Chuckwagon races and grand finale event at 7:45pm. Tickets are available for purchase on the online Summit registration site. Tickets will go fast, so buy early to sit next to your PNWER friends, both old and new! Banff is just a short hour and a half drive west of Calgary. Situated in the Canadian Rockies, Banff offers a wide variety of activities. No matter how you want to explore nature, you can find it here! In addition to the breathtaking views, Banff offers a wide variety of cultural activities for you to explore. Finally, before you go, don't forget to check out the culinary treats that await you here! 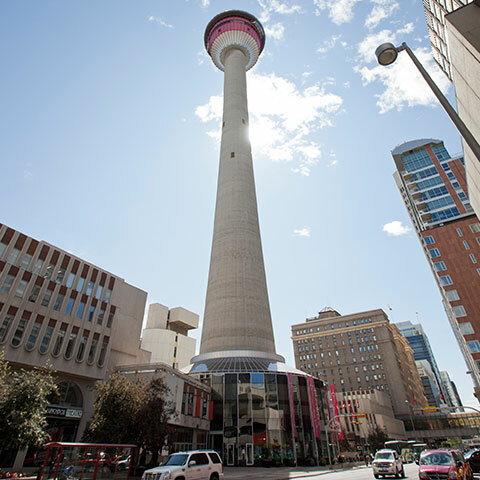 Calgary offers a wide variety of attractions to match any preference. Whether you are looking for a guided tour of the city or trying out the local cuisine, Calgary has something for everyone. Learn more about all the interesting activities to explore during your visit to Alberta.